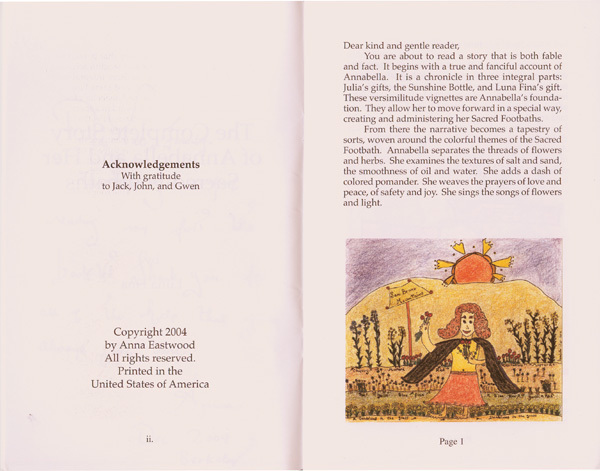 Annabella's first booklet, comprised of three vignettes and a narrative. The vignettes, Julia's Gifts, The Sunshine Bottle and Luna Fina's Gift are whimsical accounts of important events in Annabella's life. The narrative is a study about the Sacred Foot Bath - Lava Piedi, Palma Cristi - and all of its components. 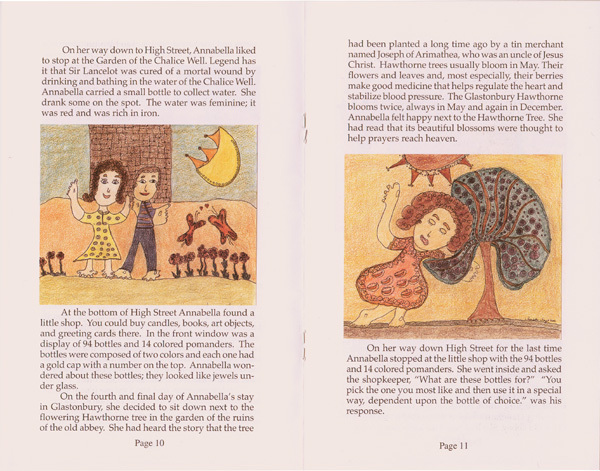 Annabella's Tale is 22 pages long and has 16 color illustrations.